The taste of summer all year round with our a beautifully inspired blueberry and violet jam. Three jars that will have you smiling regardless of the weather outside! 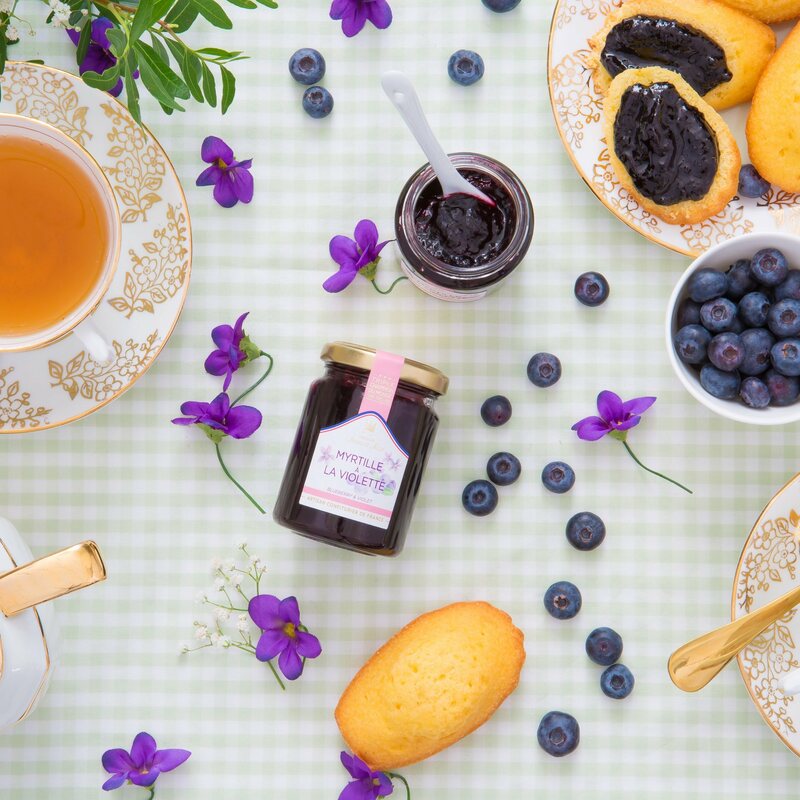 Our jam is hand made with 60% fruit content and cane sugar, and are all 100% natural. 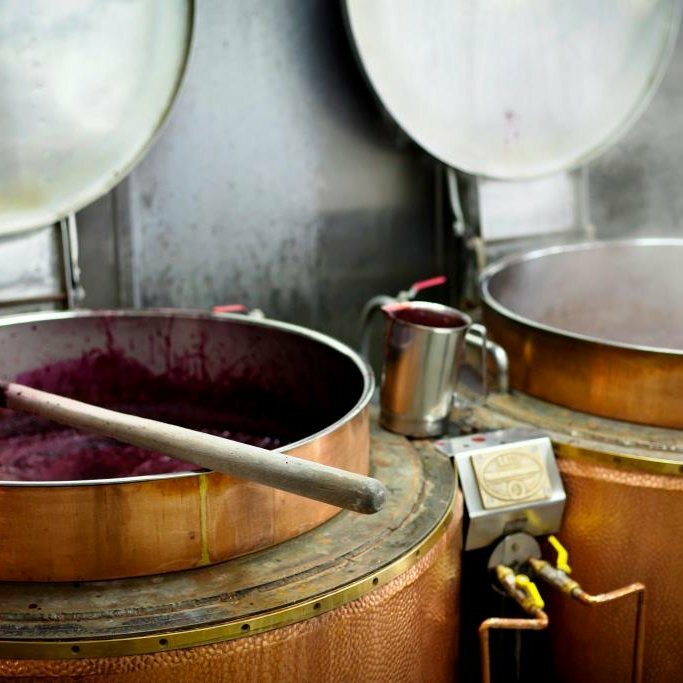 The secrets to the unique taste lies in the fact that the fruits are picked when they are mature to reveal all of their flavours. 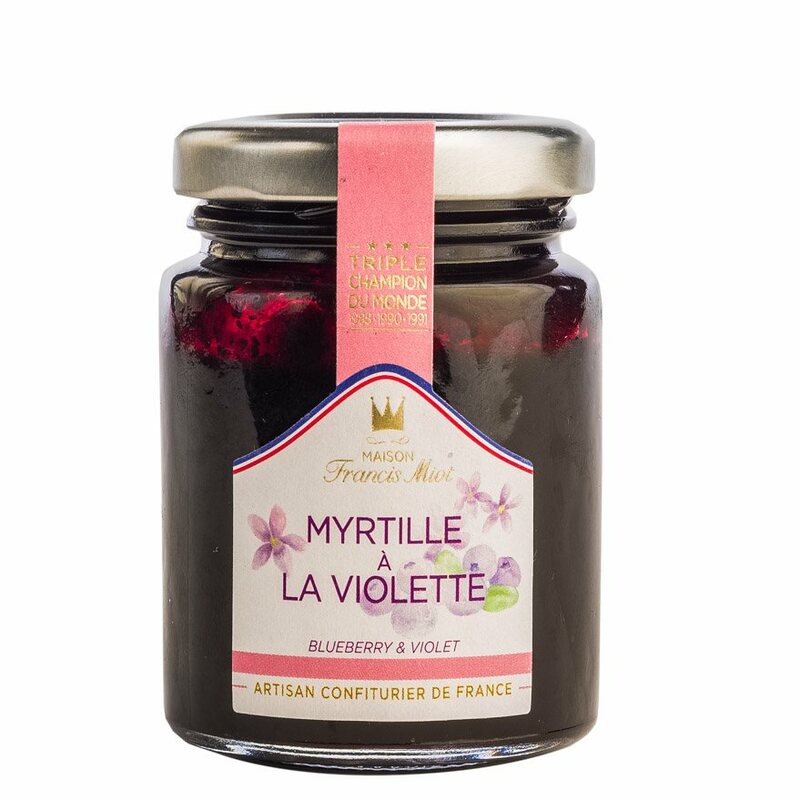 Trained in the purest French traditions at the famed Lenôtre School, Francis Miot and his team have been cooking artisan jams for over 30 years in the pursuit of excellence and flavour to satisfy the discerning palates of world-class chefs. Artisanal techniques such as low-temperature cooking in cauldrons, traditional spatula-stirring and use of mature fruits, are what make Maison Francis Miot one of the world’s most awarded jam maker, having received over 20 taste awards since 1995. Bluberry 60%, cane sugar 39%, violet natural aroma 0,7%, concentrated lemon juice, gelling agent : (fruit) pectin. These are superb!!! I have tried all three and love them equally. Lovely with cheese. I found them a little hard at first but are delicious when dunked. Bought fig and sesame biscuit as a gift, but tried one -- chewy, figgy, sweet but not as in sugary sweet, worked nicely with the fig. 4 because being very chewy they aren't exactly either traditional biscuit or cracker texture, but it's kind of satisfying having something a bit more like a leather. Surprinsgly good! It made my pregant wife's day as she's always struggled to find a 'fun' drink during pregnancy. It's a great alternative to fizzy and alcoholic drinks. Definitely recommend it!! This product is fantastic. It has a lovely and refreshing taste with depth and flavour, and what's best is that's it's all natural without any artificial additives. The beautiful packaging makes this perfect for parties and occasions - a great alternative for those who don't drink alcohol but would like some bubbles in their glass! I always get a bottle of this for special occasions. I always get a bottle of this for special occasions. You get a decent pop when you uncork it and it's got a really nice flavour. Great alternative to champagne. The Fine Food Forager only select artisanal and fine food products of the highest quality, with the appetites of discerning gourmands in mind.